Jvok’s open 7400 Logic Competition entry is the CD4000 digital alarm clock. 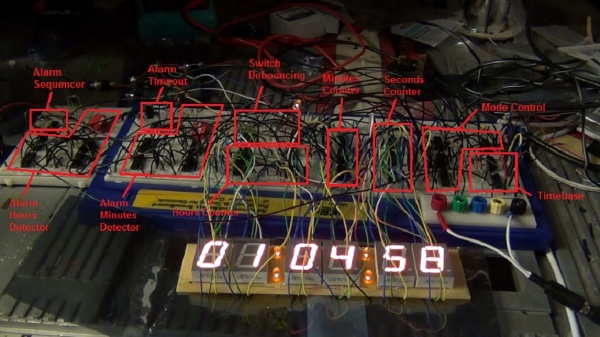 As the name suggests this is an alarm clock based on CMOS 4000 series logic ICs. This entry was posted on Saturday, November 3rd, 2012 at 3:00 am	and is filed under 7400 contest, contest. You can follow any responses to this entry through the RSS 2.0 feed. You can skip to the end and leave a response. Pinging is currently not allowed.